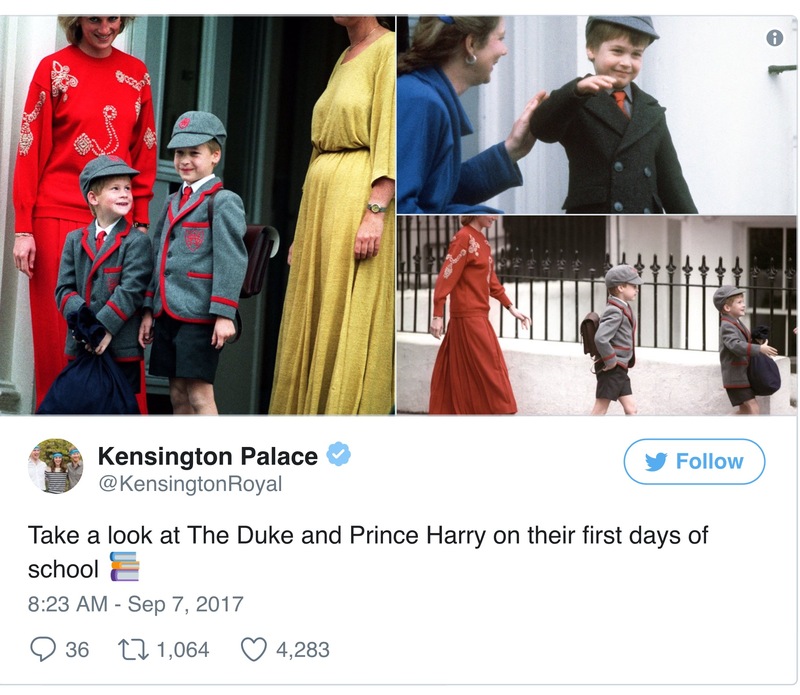 Prince George looked smart in his uniform as he walked nervously into school on his first day – without his mother, the Duchess of Cambridge, by his side. Kate had hoped to join the Duke of Cambridge on the school run but is suffering from severe morning sickness and was too ill to attend, Kensington Palace said. 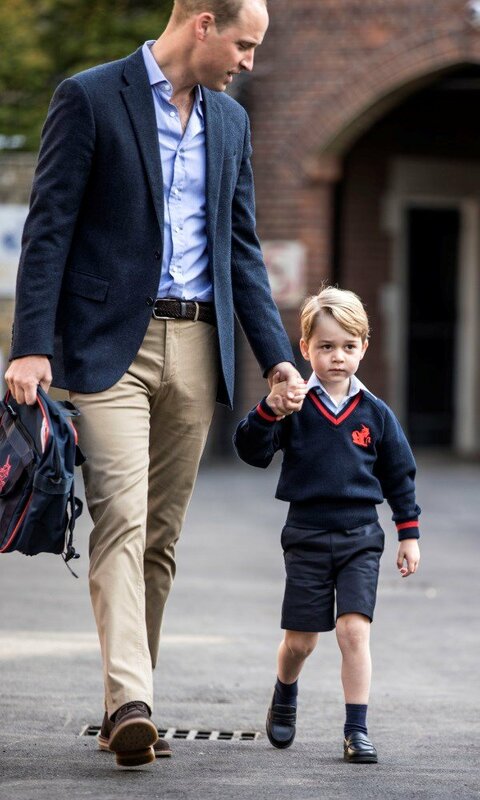 The four-year-old prince was helped out of the car by William after being driven through the gates of Thomas’s Battersea, a fee-paying independent school in south London. The prince will be known as George Cambridge to his classmates, the palace said. George looked tentative, clutching his father’s hand, as he was led towards the entrance of the school after arriving at around 8.45am. The young prince shook hands with Helen Haslem, head of the lower school, as the Duke held his school bag ready for his first day. Then, with William holding one hand and Ms Haslem the other, he walked inside. The Duke told Ms Haslem that George had been eagerly watching and “noticed” the other boys going into school in their uniforms. It is understood William and Kate will try to do the school run as often as possible. The prince, who was wearing a shirt, navy V-neck pullover, shorts and black shoes on his first day, is thought to be one of the youngest in his year. He is expected to have a gentle introduction to what is likely to be a tiring first term at school. Along with his classmates, he will spend the day getting to know teachers, adults and other children as well as completing the important task of finding his classroom peg. Kate was forced to pull out of two public engagements on Monday and Tuesday after suffering from hyperemesis gravidarum, as she did in her previous pregnancies. The young prince and his classmates will be taught a range of subjects and activities from ballet and art to drama, French, music and physical education. Kate has already said she is not sure her son “has any idea what’s going to hit him” when he starts school.